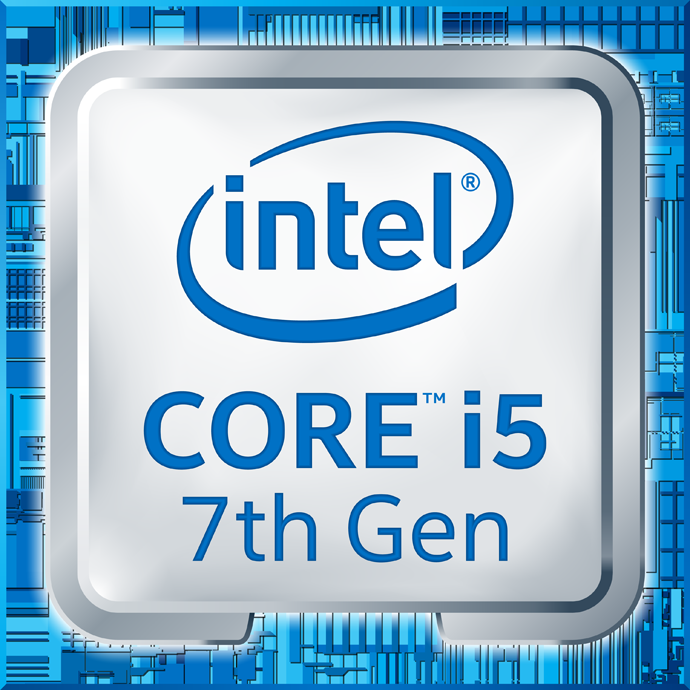 The Intel Core i5-7600K is a fast quad-core processor for desktops based on the Kaby Lake architecture and was announced in January 2017. It is the top model of the consumer Kaby-Lake-H Core i5 series at the time of the announcement. The i5 does not support HyperThreading (4 threads only) and runs from 3.8 (base speed) up to 4.2 GHz. As a K-model, the i5-7600K offers an open multiplicator for overclocking. The performance of the i5-7600K is about 10 percent above the predecessor Core i5-6600K, thanks to clock speed increases and long hold Turbo Boost clocks. Matching clock speed, there is no speed improvement from Skylake. The old top model Core i7-4790K however is still slightly faster. More information with gaming benchmarks and power measurements can be found in our AMD Ryzen 7 versus Intel CPUs review (upcoming). The integrated Intel HD Graphics 630 has 24 Execution Units (similar to previous HD Graphics 530) running at 350 - 1150 MHz. The performance depends a lot on the memory configuration; it should be comparable to a dedicated Nvidia GeForce 920M in combination with fast DDR4-2133 dual-channel memory. The chip is manufactured in an improved 14nm process with FinFET transistors, which improves the efficiency slightly. Intel still specifies the TDP with 91 Watts, which is a lot more than the 45 Watts of the mobile Kaby-Lake-H CPUs.